Anyone that’s interested in learning about computers or the internet will love experimenting with a Raspberry Pi. The only issue is that it doesn’t come with a monitor or keyboard. This actually isn’t a problem though, because there’s a way to setup and work on the Pi without ever connecting it to a monitor or keyboard. It’s known as running the Pi “headless”. In this tutorial, I’ll walk you through the steps of setting up a Raspberry Pi without a monitor and keyboard on a new installation of Raspbian. All you need is another computer with internet access, an SD card adapter, ethernet cable, and access to the internet router on the network you want to connect to. 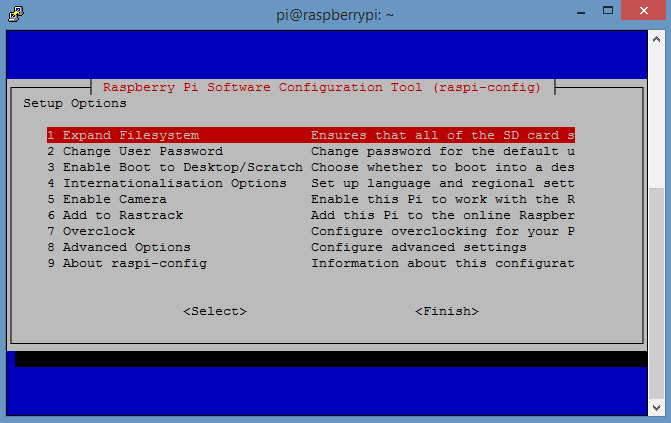 The first step is to download the Raspberry Pi’s operating system. 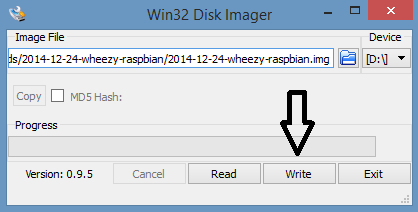 I’ll be using Raspbian Jessie Lite in this tutorial. 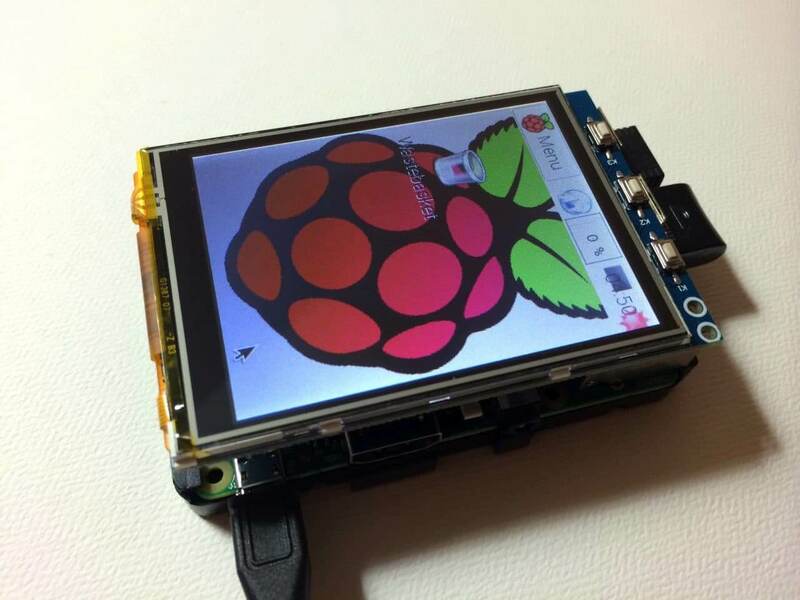 You can download it here from the Raspberry Pi Foundation. 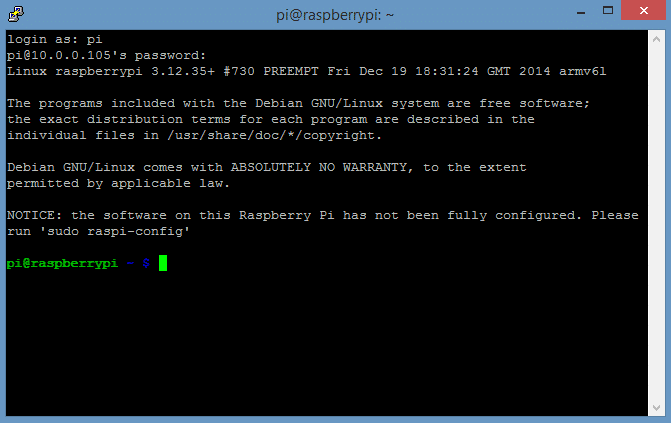 Now we need a way to access the Raspberry Pi’s command prompt. We can do this with a remote SSH client called PuTTY. PuTTY establishes an SSH connection between the Raspberry Pi and another computer. It opens up a window that gives you access to the Raspberry Pi’s command prompt. 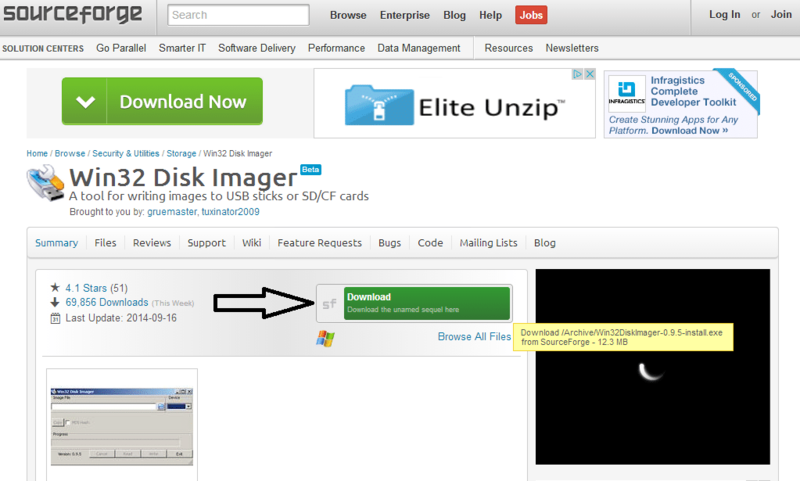 Download and install PuTTY to your PC. If you’re using a Mac, you can SSH into the Pi with Terminal. Click here for good tutorial on SSHing via Terminal. We’ll also need a way to find the local IP address of your Raspberry Pi when it’s connected to your router via the ethernet cable. There are lots of ways to do this, but Advanced IP Scanner is pretty easy to use. It will scan your home network and list all connected devices and their local IP addresses. Another way to find your Pi’s local IP address is to log into your router’s configuration page and get a list of the connected devices. But you need to know your router’s username and password to access it. If you want to do it this way, find the router’s product number on the back, then search online for the user manual. There should be instructions on how to access the router’s configuration page and how to view the connected devices. 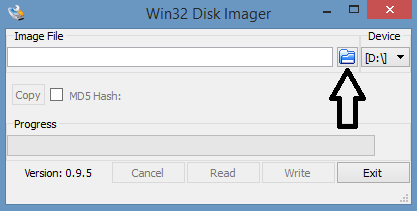 Now that we have everything we need, let’s write the operating system image to the microSD card. All you need to do is create an empty file called “SSH” and place it in the root partition of the SD card. The file should have no extensions like “.txt” or “.doc”. The easiest way to do this is to open up a text editor like Notepad and save the blank page as “SSH.txt”. Close the text editor, then rename the file to delete the “.txt” extension. After that, move the file to the top level folder of the SD card (the root partition). Now you can eject the SD card from your computer and insert it into your Pi. Connect the Pi to your internet router with an ethernet cable, then plug in the power cord so it boots up. Write down the IP address for the device that says Raspberry Pi Foundation in the “Manufacturer” column. In my case it’s 10.0.0.105. Now click “Open” to initiate the connection. If this is your first login and you haven’t changed the username or password yet, enter pi for the username, and raspberry as the password. This is where you can change all of the default settings for Raspbian, and do other useful tasks like expand the file system and overclock the processor. If you have any questions about this post, or are having issues setting up your Raspberry Pi over SSH, please leave a comment below and I’ll try to answer it! And don’t forget to subscribe to get an email when we publish new tutorials. Thanks for reading! 4. 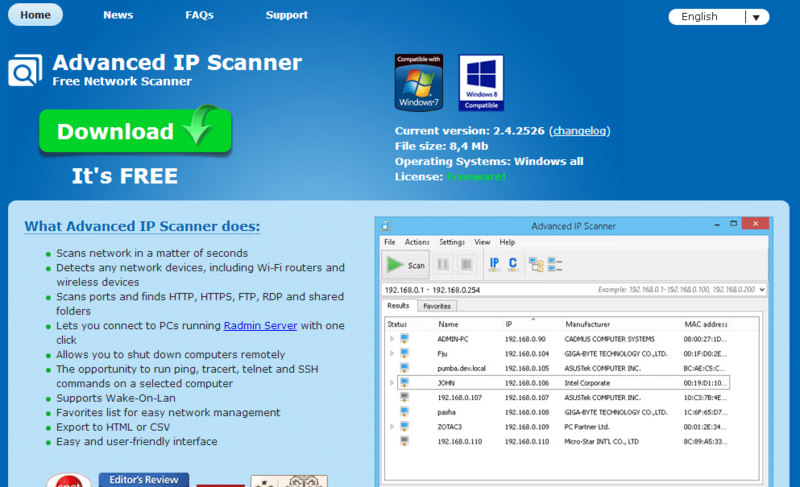 Download advanced IP scanner. Thank You for great write up. Will comeback once I actually start doing it. Was able to reach till last step. That is I configured the Pi and clicked “finish” button. After this it came up with option of rebooting which I selected. After rebooting I have logged in back in Pi using Putty. How to proceed further? How can I see the destop of Raspbian OS using Putty? I was able to open the desktop of Raspbian in my laptop running Xming. Wonderful. Good to hear you have got it running. I just added a post explaining the method I used to setup remote access to the Raspbian desktop. I use the remote desktop connection native to Windows, and/or the Microsoft RD Client App on my iPhone and iPad. It all works wonderfully. Haven’t tried Xming yet, but I’ll give it a shot! I followed your instructions and was able to connect my Pi. But when I tried to do the same the next day, I couldn’t connect through PuTTY. The error says connection timed out. Please help. I tried scanning my network for Pi using the recommended software but can not locate Pi. What am i doing wrong? Hi, I did it as manmeet summary above. But to get to Pi GUI? Hey!! In which directory should the ssh file be pasted? 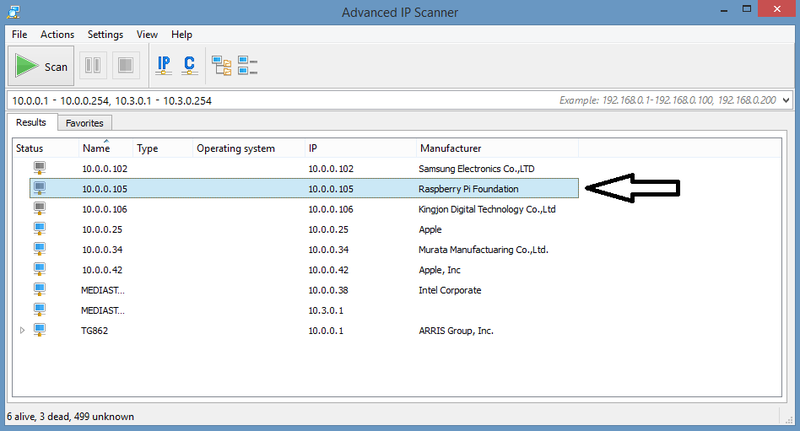 There is no need to use advanced IP scanner. To save ssh file simply make file in notepad etc and save as ssh and in file type click all files and it will be saved without any extension. Great, glad you liked it! 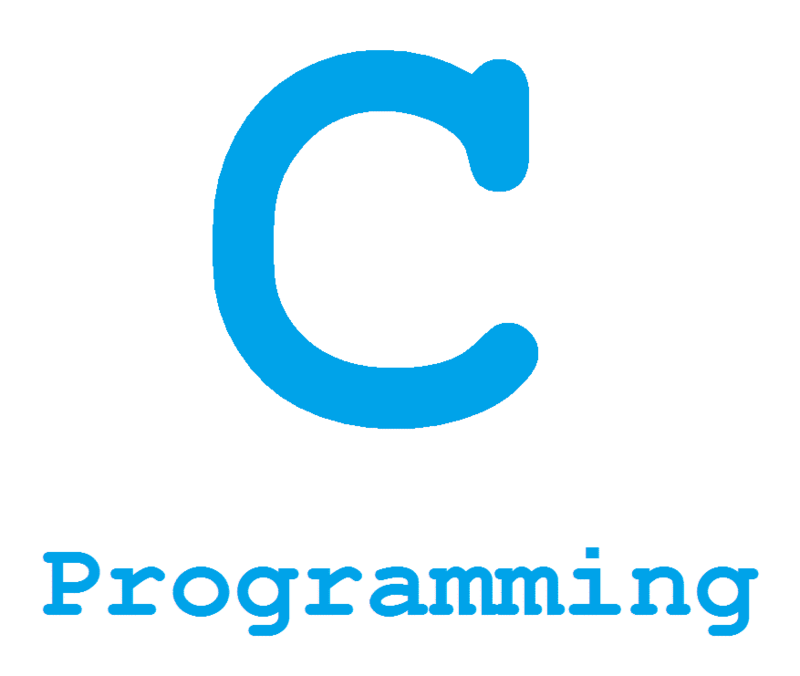 I am on twitter: https://www.twitter.com/circuitbasics (@circuitbasics)… I’ll be posting articles regularly so definitely stay tuned! The IP address of your RPi can change. Google for how to change from DHCP to static. Thanks. Great guide. But could I do this in any way without a SD card reader on my computer? If you need to put an OS on a card you need a card reader. No exceptions. USB card readers are a few $/£/€. 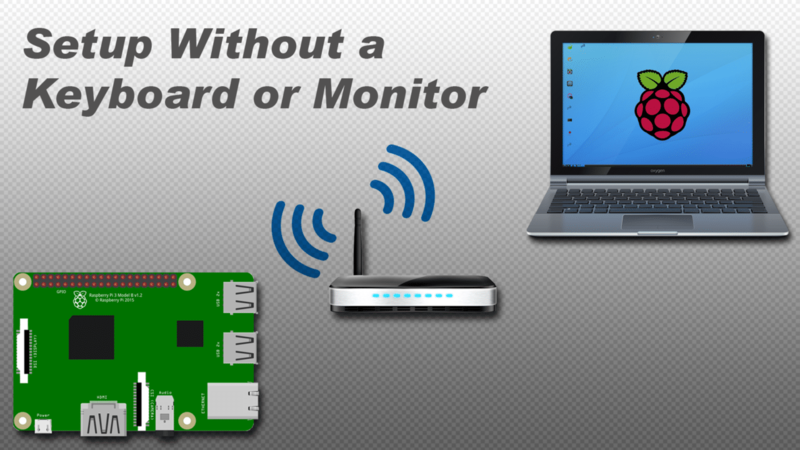 You might be able to use a digital camera or Android tablet as a USB card reader. If you have an old MP3 player or other device that uses an sd card and acts as USB storage when connected to a PC, you may try using that as your sd card reader. I used to use an old mobile phone for that, and sometimes used an MP3 player. It may not work because you need block device access to the sd card to write the disk image, which most modern media devices don’t expose to the host pc but some do. Hi folks, great site, and a lot of useful information. I was wondering if anybody knows of a good breath sensors for the Raspberry Pi. I came a cross a lot of options on the internet, but not sure which one will suite me better. What I am trying to do is basically use the breath sensor to breath into via mouth, then take that signal (using Raspberry Pi) and generate MIDI messages to control a sound module. But still not sure the accuracy and resolution of the sensor. Any help is greatly appreciate it. Hope to hear from you folks. I have a question that what to do if you have no Internet router. Just a wifi dongle. I am trying to set up my raspberry pi in headless mode. 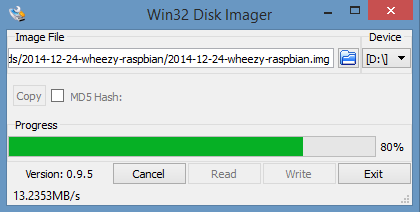 I got the OS raspbian wheezy on the SD card. Initially when i powered it on with the ethernet cable connected to my laptop and ran the advanced ip scanner, it successfully detected the pi and i was able to access the terminal with putty using pi’s IP. I logged into the device. When i again tried it later doing everything same as above advanced IP scanner is not able to detect pi. Pi is powered on and connected to the laptop via the ethernet cable. What am i doing wrong ? is it possible to connect directly whit a ethernet cable from the pc to the Pi ? do the same, but whit out the router? i connect my Rpi ethrrnet cable to my laptop, but when scan for the ip address, it did not detect the RPi ip address…. You should connect your Raspi to your router. Otherwhise you need a running DHCP server on your laptop because your Raspi needs to retrieve an IP address from somewhere. Be aware that you have to expand the root partition to full extend after installing the image on the SD card. I used tuxboot/gparted. I have successfully connected to the Raspberry Pi using SSH, but it does not provide an Internet connection to the Raspberry. I am using now the March 2016 release of Raspbian, in a previous version I was able to connect using SSH and having Internet access simultaneously. Any ideas? Thank you. hi , i cannot find the ip address ! actually there is no raspbian device on the router page , even we i did the Ethernet connection between router and raspberry. what about the computer connection ? should it connected by cable to router? .. i do not know where is the problem ! any one help me please ..
@Amani Just hook up an USB keyboard and a monitor(for testing purposes and troubleshooting it is very usefull to have) and run ifconfig (like ipconfig for windows). if it comes up with nothing your software configuration or hardware is broken. The PC doesn’t need to be physically connected to the router. It just needs to be connected to the network via WiFi or any other way. It sounds like your SD image may be corrupted. Have you tried re writing the image to the SD card? 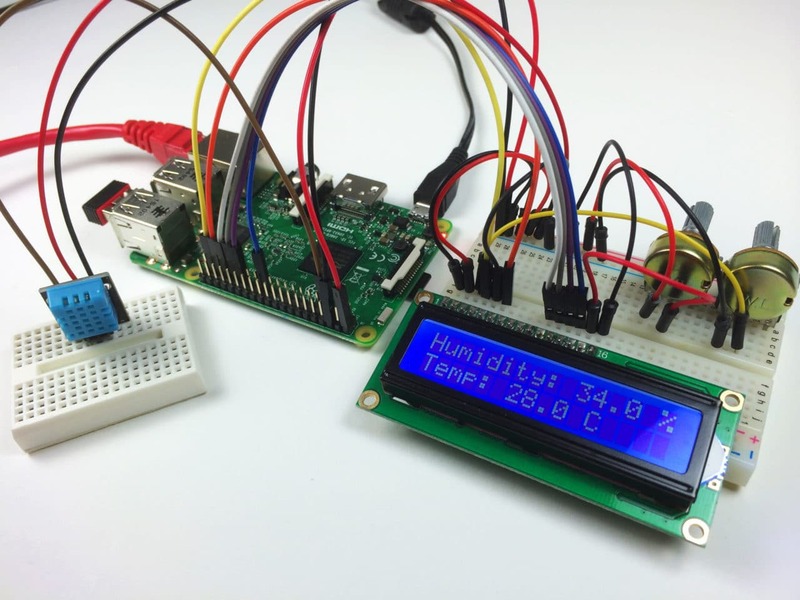 This was one really good article on running the raspberry pi running headless. infact this is the only one that helped me out all the way through to get my rasp up and running. Thanks lot. Once again I really appreciate the effort you have take in explaining the steps clear and precise . If your Pi is connected to your router with an ethernet cable and powered on, and Advanced IP Scanner still doesn’t recognize the Pi, it could be something is corrupted on your SD card. Try re writing the image to the SD card, that will probably fix it. This guide is really helpful! Thank you! please let me know what could be the solution. Thank you, MC. This needs to be updated at the top! Worked right away after this additional step. Thanks for this info on the ssh file to trigger ssh — I was stuck without it. OK I tried this part on a macbook pro, and it doesn’t seem to be working. Still says “connection refused” when I try to connect via ssh. Am I putting the SSH file in the wrong place on the SD card? And how do I put it where it needs to be? 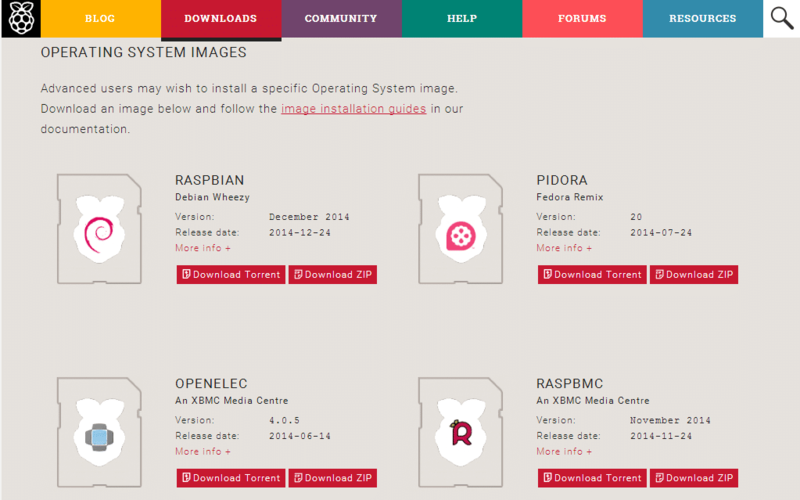 I’ve just updated the post to include these changes to Raspbian. The instructions have a small typo. The ssh file needs to go in the “boot” partition, but the instructions say “root” partition. i am losing hope and gonna find a keyboard and monitor .. Currently using Win 7 on desktop and Win 10 on HP Pavilion and removing the file extension “.txt” has me at a standstill. TY, since advancing from XP to 7 and 10 the learning ladder has gotten taller…. I battled the “Connect to PC” for days, tried the SSH file in the root with no luck so I connected to Vizio with just a mouse and HDMI, enabled SSH and now my connections are solid. 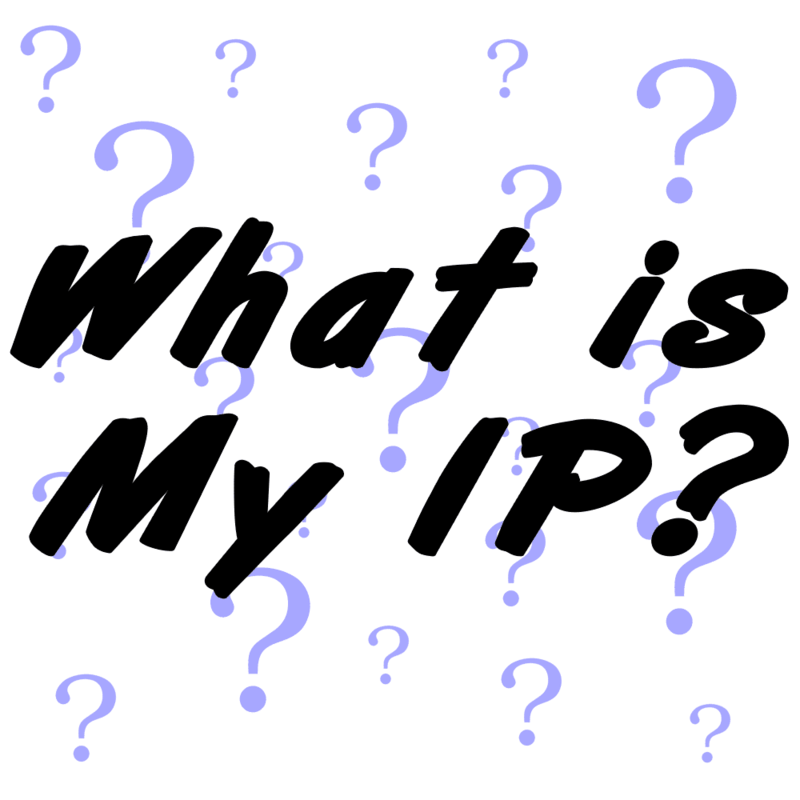 Have noticed the IP found has not changed after multiple connections so I will assume mine is static! I am not able to connect with laptop. IP config error. Please help me.I am using puTTy & SSH. All done just network connection error. Whatever I do, I am able to access my Raspberry Pi 3 after connecting to my TV only through HDMI. However I can’t connect through the ethernet. it never detects raspberry in my advanced IP scanner and can’t connect through putty. colors they see on a printed list you deliver. the file ‘ssh’ needs to be created in /boot/ directory and not in the root directory. yes I agree with you !! According to https://raspberrypi.stackexchange.com/questions/59763/ssh-server-not-started-on-boot-boot-ssh-present , you need to put the “ssh” file in the boot partition. Be careful to not make confusion with the /boot/ folder of the second partition !! Property for Fisher-Cost Toys & Additional Use of this web site signifies your acceptance of the terms and conditions of use. Thank you for your great information tutorial. Can you please try to assist me to find out the PIs IP so I can use Putty SSH to establish a connection to my PI? Please try to advise me what I do wrong . I have connected my rpi and my computer to my router. When I put the rpi’s IP address on putty it says Network error: Connection timed out. But then I disconnected my rpi from the router and used IP scanner again and it still find the rpi’s IP address even though it is disconnected. I also used ping raspberrypi on command prompt and it says: ping request cannot find host raspberrypi.Could you please help me? I have been trying for days and can’t seem to find the problem. in the game, you’re set to experience the overall game towards the fullest. Even though Xbox systems and Wii games took plenty share from the gaming market, Play – Station games are nevertheless some of the best games available. You still need a keyboard and a monitor, no? Thank you very much.. but I still do not understand it very well. I am doing a project to detect motion an object around an area using machine learning algorithms ( specifically YOLO detector).. My question is I write the python script on my computer then setup the raspberry pi ( I install opencv , python on the raspberry pi). 1. to use the raspberry pi where should I store the codeon the raspberry pi? I am not supposed to take the computer to the area where I detect motion..
2. How the code run automatically? if it is on my computer I have to click the run button to run a code. Item was DOA. Returned and purchased a different brand. Tried from multiple displayports to multiple monitors. Even tried on different workstations as well as multiple video cards. Nothing worked. After numerous attempts to boot the Rasp 3 B+ with both a 32 Gb and a 16 Gb micro-SD card I still have a dead board!! 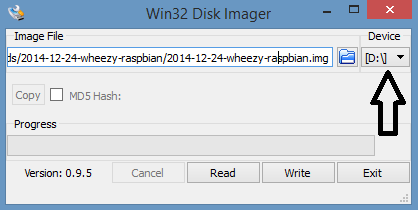 I have downloaded the latest update of Raspian stretch, un zipped it and copied a SSH file with no .txt suffix. All were image copied to each card and inserted in turn, both were new cards. powered up and red led on green led flashed twice then off. PCB`s setup with an Ethernet cable to my modem / router with the desktop pc running in Wi-Fi mode to reach the Raspian in an headless setup. Tested the cable in PC works fine. I used the PUTTY app the read network IP`s got one for Rasp 192.168.0.8 plus the manufactures name so I believe the router works fine. Frankly I`m baffled is the Rasp dead or have I forgotten something? I have tried many instructions to connect my Raspberry Pi 3 to my PC and yours is definitely the best until I get to the part ” insert the ssh file into the boot or top, section of the software. I have downloaded the Raspian Stretch Lite version. I have zipped the software into the micro SD card and it appears as SD Boot G: I have no idea where the top level of the boot file is., so I opened the SD card and pasted the ssh file into the card. After entering the IP address into Putty the Putty command appears but it is blank and soon times out. This is obviously an ssh issue but where do I go from here? Reference my last post. Happy days I have at last connected with my Raspberry Pi on my computer. But this happiness did not last. When I tried to login a second time the keyboard goes dead after I enter the Pi and go to the password . It asks for the password but the keyboard will no make any entries just nothing. I have tried the Raspberry Pi connected by HDMI to my YV but the same thing happens. Thiss blog was… how do you say it?Relevant!! Thank you so much…. It’s working after several attempts. an example, very clean and wonderful user genial design. Hi, could someone update this article? Specifically, in the headless setup section, the filename should be ‘ssh’ lowercase, and on the boot partition – not the root partition. Otherwise, great tutorial – thanks! 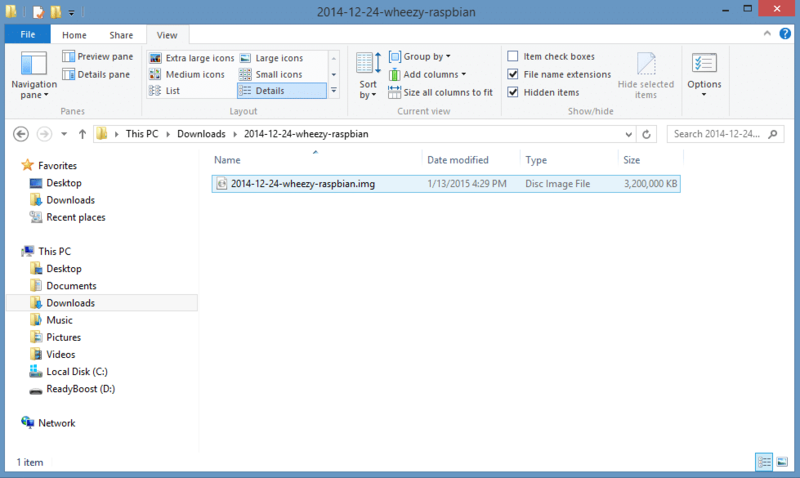 i am newbie, I am using Raspberry pi 2 Model B, i have loaded image Raspbian Jessy Image. and i couldnot find my raspbian ip in “Advance Ip Scanner ” Also.